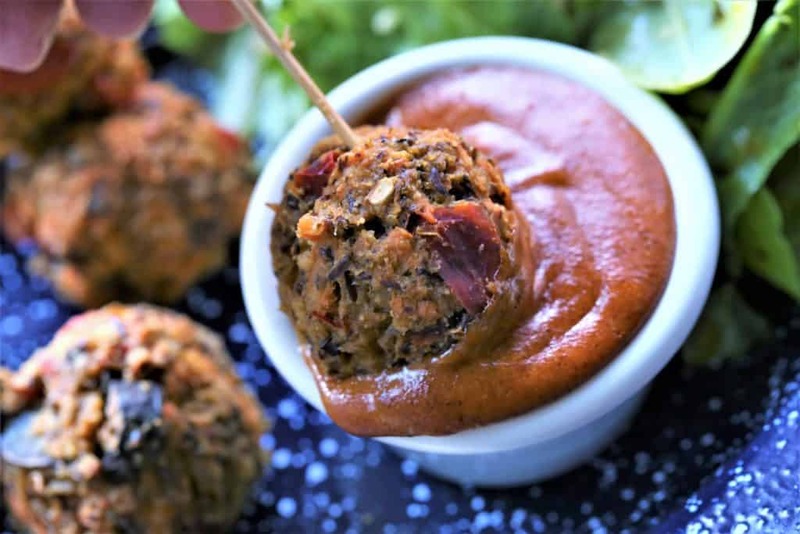 Veggie Balls With Hot Peanut Dressing are easy and delicious.Vegan,gf df. 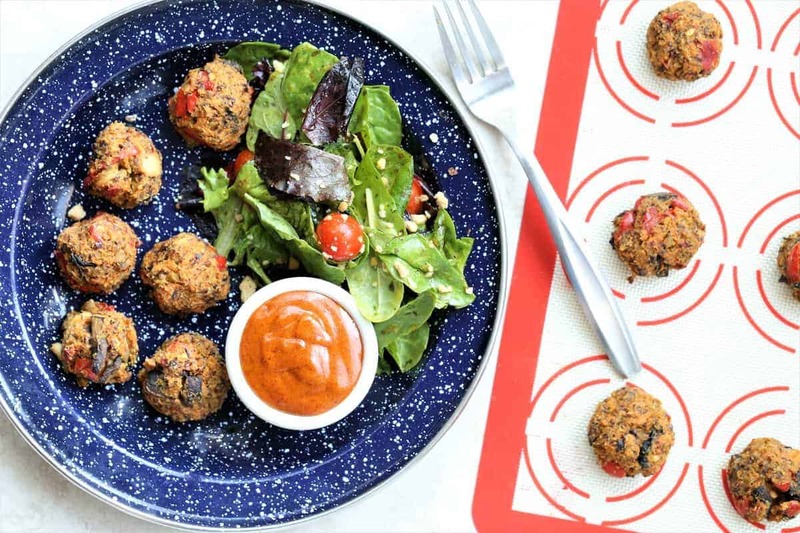 Veggie Balls With Hot Peanut Dressing are are quick, easy and delicious. 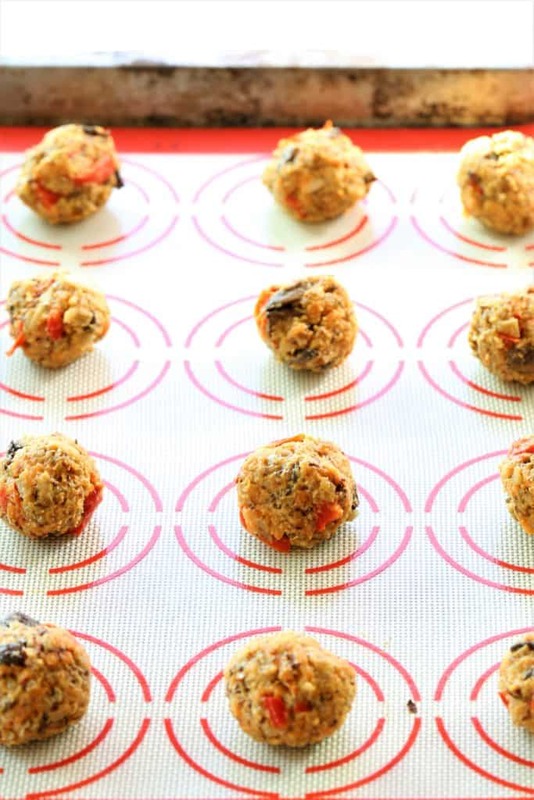 You only need four vegetables–cauliflower, mushrooms, sweet potato and red pepper and you can the balls ready for baking in less than 10 minutes. When I am making vegan dishes, I like to spice them up with a variety of sauces or dressings so that eating vegan isn’t a taste challenge or sacrifice. 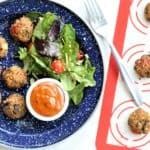 Although these veggie balls are tasty on their own, they are off the flavor chart when you add the Hot Peanut Dressing. Add a tossed green salad, and you have a complete, delicious and nutritious lunch or dinner. Vegan Veggie Balls! Perfect snack or side dish. Add a variety of dips to mix it up. Vegan, gluten free, dairy free. Saute garlic in olive oil; add all vegetables and stirfry for 5 minutes. Add salt and red pepper. 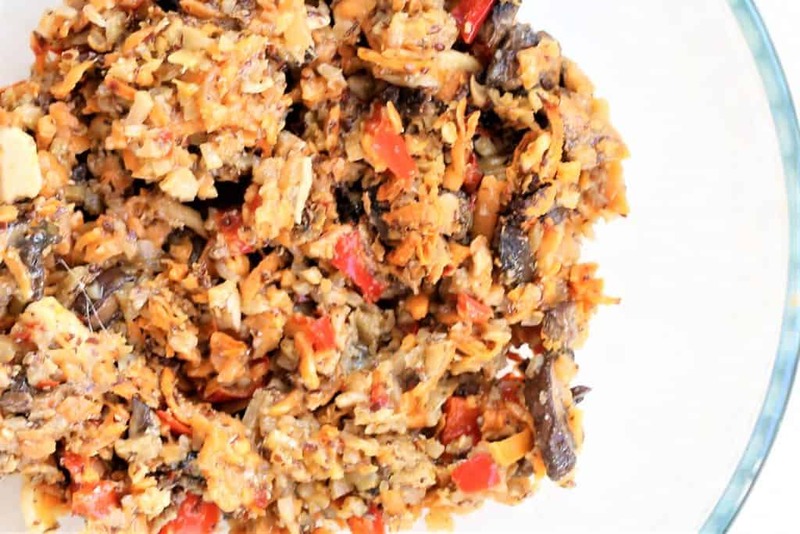 Form veggie balls with small scoop. Serve. Makes approximately 24 small balls.